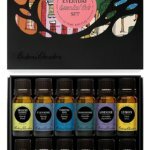 Edens Garden Essential Oil Set - Which Oil is in Which Set? Ever wondered which oil is in which set? This easy overview of Edens Garden essential oil sets will help you shop fully educated for the set that best fits your needs! Recently, I’ve been ordering sets of essential oils more and more. It’s not that I always totally need 6 or 14 nor more new oils, but I just love getting the Edens garden sets in the mail. I do. And usually, it works out that the sort-of “main” oils that come in most sets (like the classically popular Lavender), are already almost empty anyways, so it’d be time to re-order or get a new bottle of that particular single oil anyways. 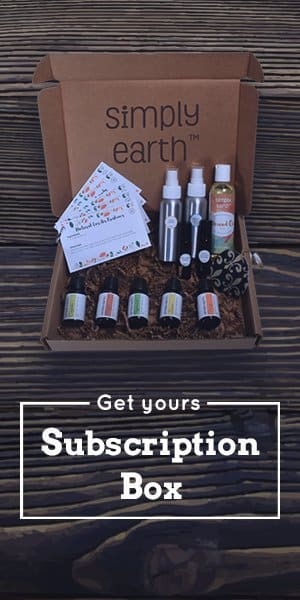 So I just buy the whole Edens Garden essential oil set. 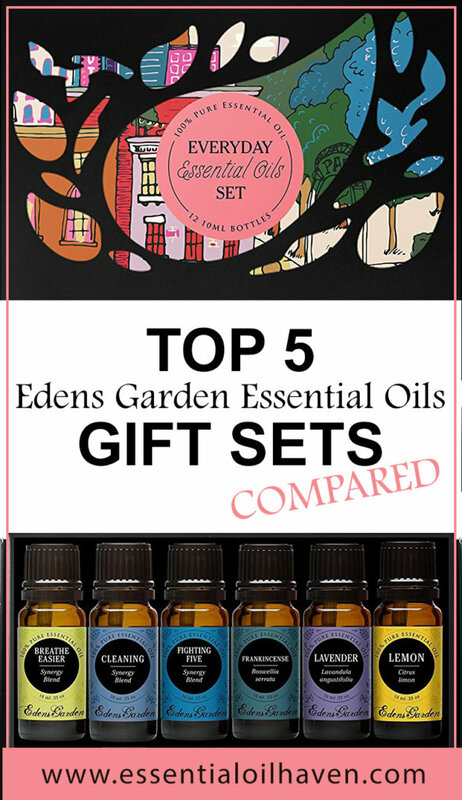 If you’d like to read about Edens Garden essential oils in general, please have a look at my Edens Garden essential oils review, which touches on points such as oil quality and customer service of the brand and company in general. For your reading pleasure now though (and my writing pleasure), here is an overview chart that shows which Edens Garden essential oil set has which single oil or essential oil synergy blend in it. All oils are 100% therapeutic grade and come in Edens Garden’s standard 10ml bottle with a black plastic cap. All Eden’s Garden essential oils sets come with a handy guide to help you make the most of their uses. Especially if you’re a beginner, this gorgeous “150 Ways to Use Essential Oils” brochure can get you fully informed all at once. You’ll learn more about each oil and know in what situation to use which oil. Your friends and family will also love it as you pass on your knowledge to them. 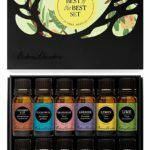 At around $60, this is an amazing deal for an all-around essential oils starter kit. Oils anyone can use in their everyday life. A natural medicine cabinet of powerful essential oils. Includes 32 x 10ml bottles of 100% therapeutic grade essential oils. Includes 12 x 10ml bottles of 100% therapeutic grade essential oils. Single oils only! Includes 6 x 10ml bottles of 100% therapeutic grade essential oils: Synergy blends only! Includes 12 x 10ml bottles of 100% therapeutic grade essential oils. Includes 12 x 10ml bottles of 100% therapeutic grade essential oils. If you like this comparison chart, please share it with your friends on your social media accounts! When trying to find an ideal gift for your friend, always think with your heart. It’s best to give a present that’s thoughtful. If you’re not afraid to shell out a couple of additional bucks, go for it. But please also try to remember, a gift does not need to be pricey. That said, you will need to ensure that you aren’t offending your giftee by simply sending low-quality products. No one wants to order gifts online simply to deal with fraud, receiving the incorrect gift, or not receiving their gifts in time. Use the links in this article to take you to the proper shopping place, and enjoy your gifting experience. If you’re shopping for a big gift, such as for the graduation of your daughter, her wedding, or her “moving out to go to University”, go with the Ultimate Aromatherapy Set. It will allow the recipient of this gift to explore aromatherapy in a lot of detail. 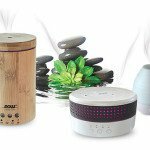 He or she will be able to experiment with the benefits of popular single essential oils such as Lavender, Peppermint, Tea Tree and Eucalyptus. 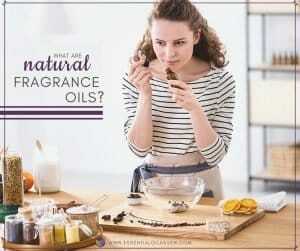 In addition, it will arm them with enough of an oils library to explore lesser-known aspects of aromatherapy and oils, using singles such as Camphor, Tangerine or White Fir. Also, with 32 bottles of essential oil, opportunities are endless to create beautiful diffuser blends, massage blends, or just use one of the many pre-made blends as-is. If you’re shopping for a purist, go with the Beginner’s Best of the Best set. 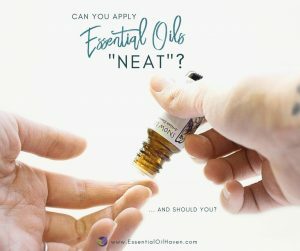 It includes only single essential oils, which is great for someone who loves to know which single oil to use for what application, and loves to learn about aromatherapy. Best of the Best includes beautiful scents such as Eucalyptus, Peppermint and Sweet Orange. It’s definitely a re-order-able kit by Edens Garden even for established users of essential oils. If you’re shopping for someone who already has lots of oils, go with the Synergy Blends Top 6. As the name suggests, it features Edens Gardens’ top selling essential oils blends. 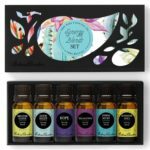 For someone who perhaps already has lots of single oils, this is a great avenue to explore new scents and add new bottles to their essential oils storage kit. Personally, I love receiving and testing new blends because it’s always exciting to smell what someone else has mixed together! If you’re shopping for an all-around solution, I’d recommend the Everyday Essential Oils kit to you. 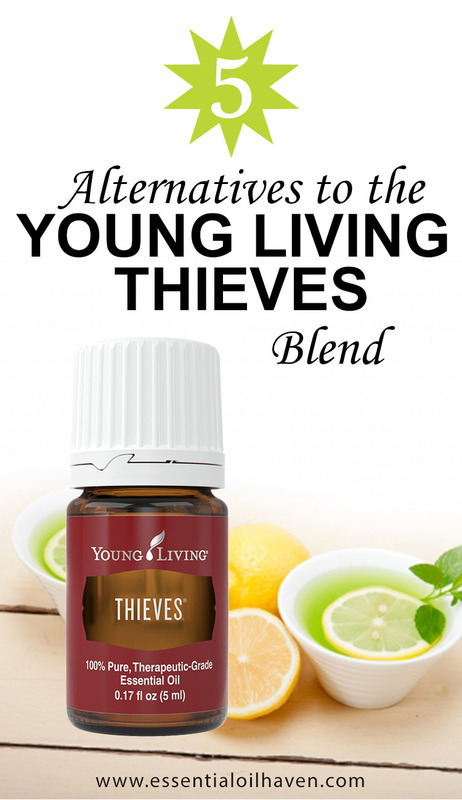 It includes a great variety of oils and blends that anyone can associate with, and will help address very common problems such as headaches, trouble going to sleep, or stress and anxiety. With a good mix of blends and singles, this kit is guaranteed to be an oiler’s favorite (even if it’s for a beginning oiler). If you’re shopping for your perfect first aid kit to replace the Polysporin in your house and help your family with cuts, bruises, and other common ouchies, I say get the Edens Garden First Aid kit of essential oils. It has a balance of single oils and synergies targeted at becoming your medicine cabinet staples. From “Head Ease” blend to “Muscle Relief” and “Digest Ease”, this kit is a killer tool box for all things first aid. 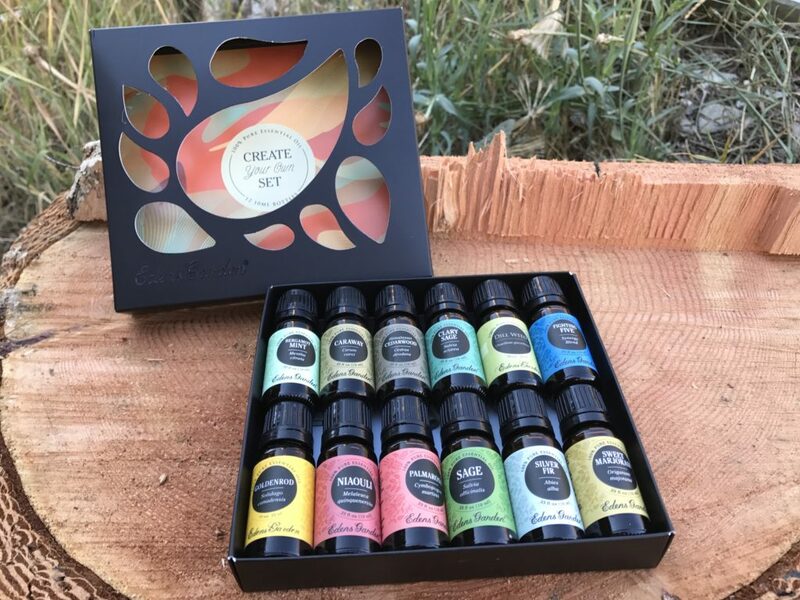 My most recent “build your own set” order included 12 single oils I needed to complete my collection (and be able to make more kinds of diffuser blend recipes). 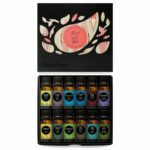 If you’re a more seasoned aromatherapy lover, perhaps you’re after a specific set of oils to complete your collection. No problem! 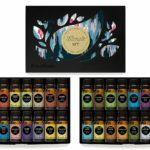 Edens Garden offers a fantastic “Build Your Own Set” option where you can choose from either 2, 6, 12, or 36 oils that you can hand pick yourself! Or maybe you’re assembling a gift for a loved one who you know very well, who has very specific needs that you’d like to help them with. Whatever the reason for you, making a custom essential oils gift set is not only fun, but super thoughtful, too! Are You an Amazon Prime Shopper? Here’s a quick overview for you on which essential oil set by Eden’s Garden gets shipped fastest via Amazon Prime. Do you love any of the kits I’ve compared above? Do you regularly re-order it, or how do you use it? Let us know in the comments below! Hello! I may be missing it on your site but I am wondering if your oils are dingle distilled or are they distilled multiple times. Thanks!